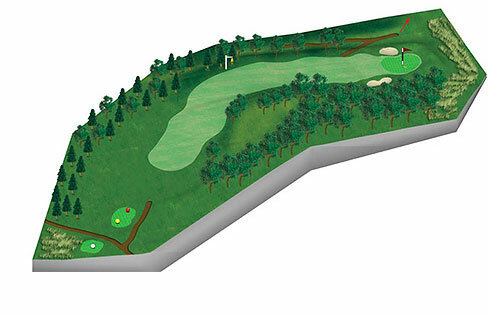 The tee shot is partially blind as you hit over the brow of the hill on this dog leg Par 4. Too far right will finish on a grassy bank leaving the green out of reach. there is trouble too on the left side, for at the fairways edge there is quite a steep drop, certainly not the place to be. The green slopes down from front to back and left to right, so be sure to pitch a little short of the flag.